Designed as a companion guide for Science Fundamentals 2: Life Science - Humans, this 2-panel (4-page) guide is written for students grades 5-8. Each major system of the human body is featured through detailed, full-color illustrations by award-winning artist Vincent Perez, but at a comprehension level appropriate for middle-schoolers. Find out the definition of a chain reaction, what the symbol for helium is, the speed of light equation, and more chemistry-based terms with this invaluable 3-panel (6-page) guide. All terms are up-to-date and listed in alphabetical order for easy reference; full-color images are also included that highlight specific information. No laboratory should be without one! From dancing at Hanley s House of Happiness to raising pints at Kelly s Pub on St. Patrick s Day, the history of the Irish community in Chicago is told through stories of its gathering places. Families are drawn to the pub after Sunday church, in the midst of sporting events, following funerals, and during weddings. In good times and bad, the pub has been a source of comfort, instruction, and joy a constant in a changing world. Based on interviews with tavern owners, musicians, bartenders, and scholars, Chicago s Historic Irish Pubs explores the way the Irish pub defines its block, its neighborhood, and its city." The history of the Irish in Chicago goes back to the days when the city was little more than an outpost on the prairie shores of Lake Michigan. Drawn by opportunities in the growing frontier town, Irish men and women who were fleeing economic hardship and famine in Ireland were quick to make their mark on Chicago's political, religious, and economic life. The unique position of the Irish among immigrant groups-English speaking and more culturally attuned to Anglo-American institutions, yet Catholic-allowed them to flourish in occupations and social positions for which they have become known. Most notably, the Irish in Chicago have produced eight mayors and many bishops. 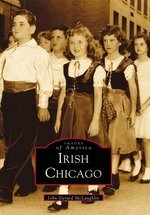 But Irish Chicago is also the story of those who built and enlivened the city: the policemen, firemen, priests, nuns and brothers, tavern owners, educators, transit workers, musicians, and ward politicians made good, and the north, south, and west side neighborhoods and parishes they inhabited. This 6-page chart covers every aspect of the structure of medical terminology related to the body and its use in the field. Two essential language references integrated into one handy volume. This edition includes nearly 500 new thesaurus entries.